Price stability has been the key factor underpinning increased activity in the market for farmland and farm sales in Scotland during 2018. The key selling season between April and October showed more land and a larger number of farms being sold through rural land agency Galbraith than in 2017. The stability of prices coupled with good weather have influenced owners of livestock and more marginal farming units to put their property on the market this summer. And the combination of low interest rates and more favourable opportunities in terms of long-term loans have helped to attract a number of buyers who were able to secure finance for a farm or land purchase. Duncan Barrie, head of the firm’s agricultural sales centre in Stirling said: “The market in Ayrshire has been particularly strong. Many farms attracted a significant degree of interest, with several being sold at a closing date. “There has been a wider variance in the type of buyer this year and we have seen a number of Irish buyers acquiring farms and land on the west coast, along with a large number of existing local farmers competing to secure their preferred property. “In areas close to major towns and cities, properties are more often sold in lots, with lifestyle buyers seeking to purchase the farmhouse and buildings and the land selling separately. Overall though, many of farms in Ayrshire have sold as a whole," he said. 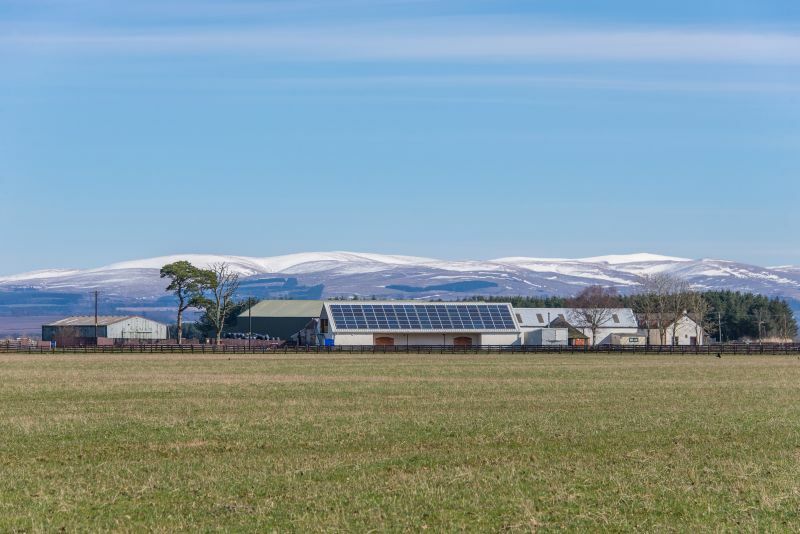 Demand for farms in Fife, Perthshire and Angus has also remained strong, with land prices above the national average particularly for prime arable land, with some land selling in excess of £10,000 per acre. In East Lothian, prices also remain high for prime arable land due to a relative shortage of land being made available for purchase. However, there remains a significant price difference, within most areas, between the most and least productive arable land. Mr Barrie added: “The sale of Mains of Boquhan, in Stirlingshire, is a good example of the strength of the Stirling market this year. “The sale offered a rare opportunity to acquire a block of land equipped with an excellent range of farm buildings but also with considerable commercial assets including a shop and office allowing a number of diversification projects. “Priced at offers over £1,235,000, the farm sold well at a closing date with a number of bids received." He added: “The demand for more marginal upland hill and pasture land is underpinned by the continuing strong interest in the creation of new commercial woodlands. “We have also seen a number of smallholdings within central Scotland being brought to the market offering good value for money and attracting interest from buyers keen to enjoy a rural lifestyle whilst still being within reach of Glasgow, Stirling and Edinburgh. “Of those farmers who have taken the decision to sell, many of them have been deliberating about retirement for a number of years, but have opted to retire now, perhaps earlier than first envisaged in order to pursue other family commitments or business interests, as opposed to a risk of being forced to sell due to ill health and other financial pressures which may occur in the future." Mr Barrie said that Galbraith expects price stability to continue to be a factor in the next few years. However, there may be a slight reduction in supply to the market in 2019 driven by continued uncertainty due to Brexit, which will ultimately help to maintain farmland values.